Last week New London Architecture, centre for built-environment debate and communication, launched a new exhibition on London high rises and high buildings policy. As well as including many spectacular models of present and future buildings, the exhibition presents results from NLA research into London’s current generation of high building proposals. The most eye-catching finding is that there are over 230 towers of 20 storeys or more proposed or under construction in London, potentially resulting in a dramatic change in London’s urban environment. A high profile campaign has been launched by the Guardian and Architects’ Journal calling for for more discussion and a ‘Skyline Commission’ to assess the impacts of these many developments. The NLA exhibition itself takes a more neutral tone in the debate, and highlights are summarised below. It’s clear from the NLA map below that the majority of proposals are strongly clustered spatially, with many adjacent to existing high rise districts of Canary Wharf and in the City around Bishopsgate and Liverpool Street. 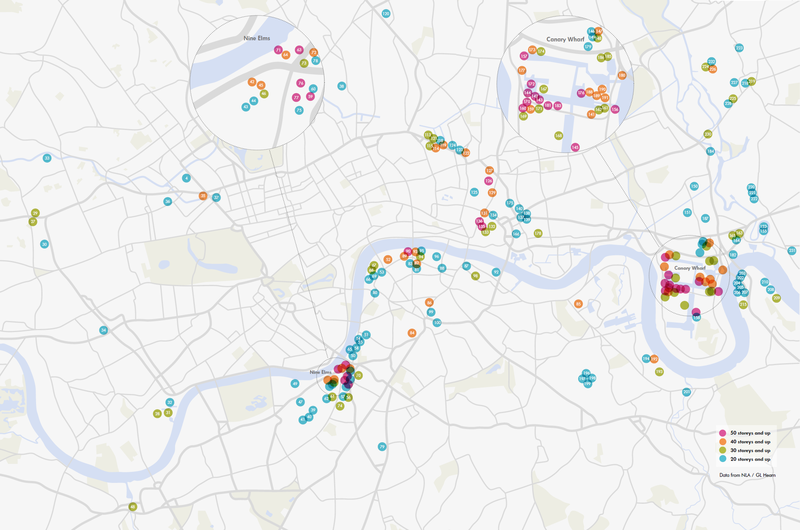 There are however many new clusters set to be created, principally Vauxhall-Nine Elms; Waterloo; Blackfriars Bridge; City Road (Islington); Aldgate; Stratford and North Greenwich. Demand for high rises is a result of acute pressures for more housing, and the prioritising of development at public transport nodes, such as Canary Wharf, Vauxhall and Blackfriars. 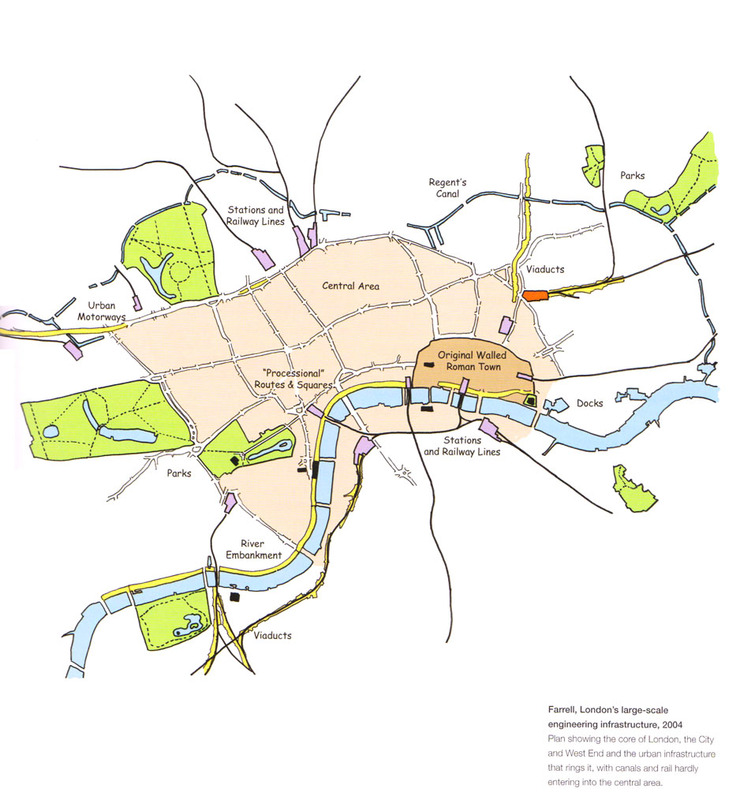 In heritage terms a number of these clusters are controversial, particularly those along the South Bank that affect London’s river views, and those proposals in the vicinity of the world heritage sites of Westminster and the Tower of London. The main critique from campaigners is that there is a lack of vision from planners regarding high buildings policy, and that current developments are being driven by schemes for luxury residential flats along the river that maximise developer profits. 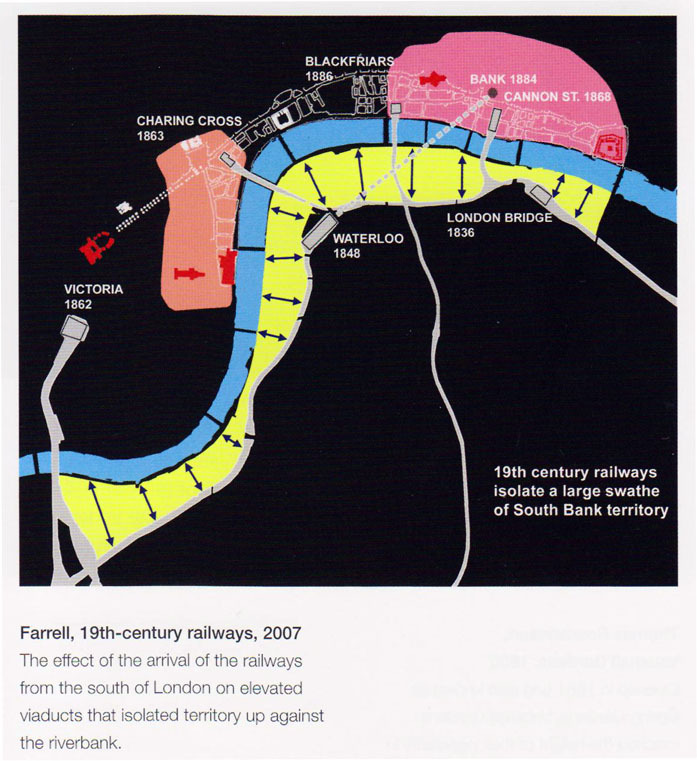 The map above lends support to this view, particularly along the South Bank and at Vauxhall. There are already many medium rise luxury flat developments along the Thames of often limited design quality, and its debatable whether the current batch of taller developments will be any better. Policy restrictions in London are strongly geared towards protecting views of St Pauls Cathedral, effectively preventing new schemes in West Central London. 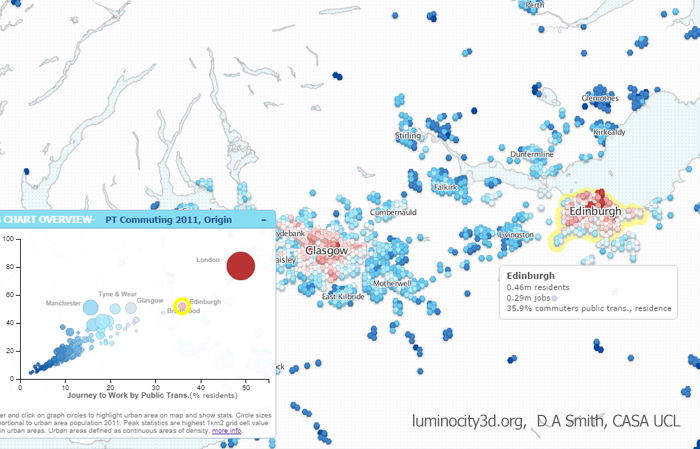 Protection elsewhere is more limited and dependent on borough level interpretations of policy. Westminster has prioritised conservation and prevented new high rises (except at the Paddington Station development) while neighbouring boroughs of Lambeth and Southwark are more inclined to accept proposals, and use the much needed revenue for further housing development. 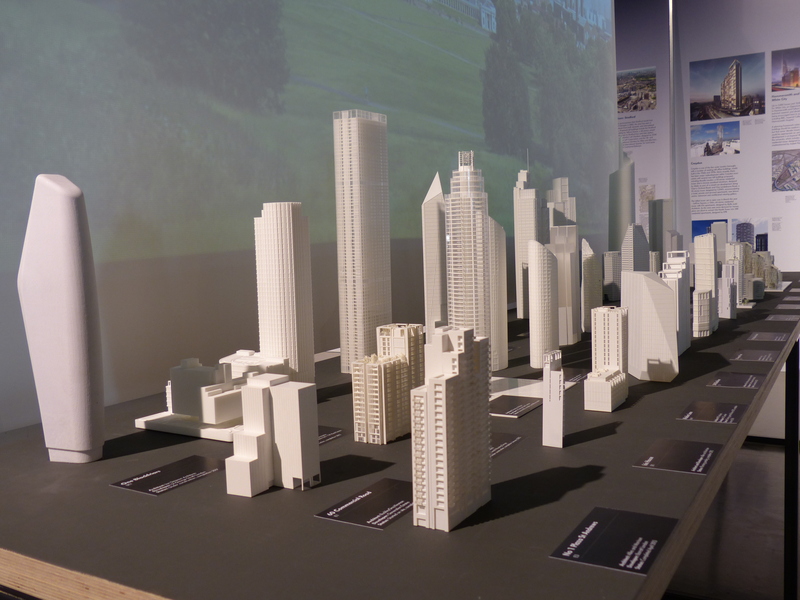 As well as covering the current planning debate, the exhibition includes many beautiful architectural models of existing and future high building proposals. There are some really unique designs, such as the fountain pen-shaped ‘Pinnacle’ that is back under development in the main City of London cluster. 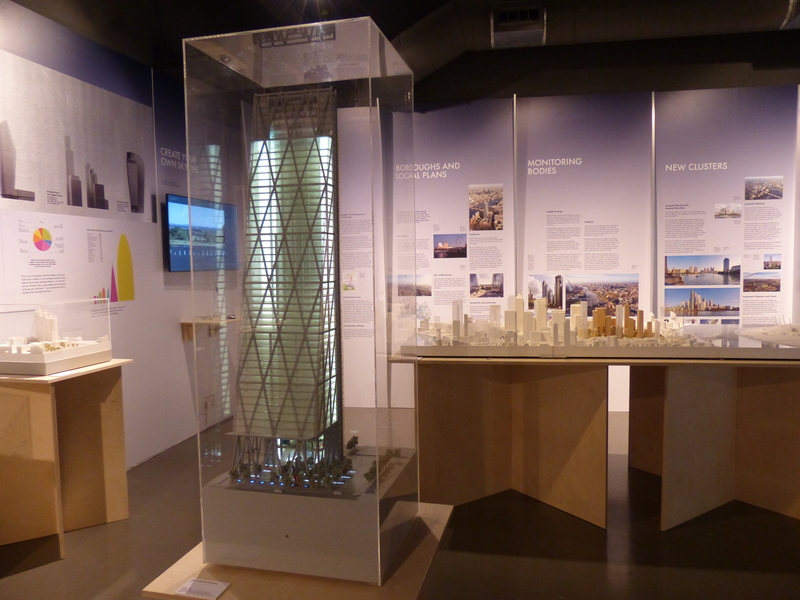 Overall the exhibition is well worth a visit, and whether you are a fan or a critic of high buildings in London, there is clearly a need for greater awareness and discussion of current changes and what they will mean for the urban environment. 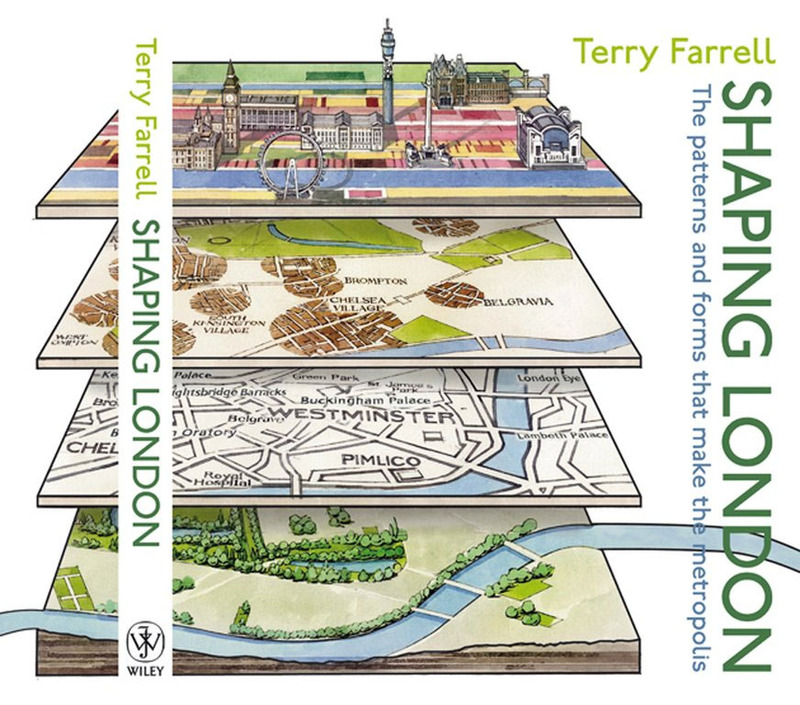 There is also a need for more public access to open models and visualisations of how new buildings will appear and change London’s physical structure. Andy Hudson-Smith (@digitalurban) argued for this a few years back in CASA’s Virtual London project, and it appears that trends are currently moving in this direction. 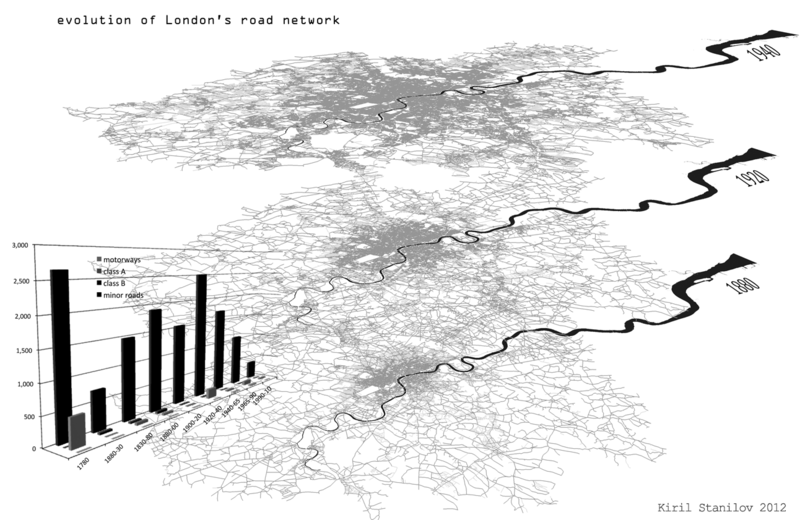 London is highly centralised, with recent patterns of intensification in the City of London, Canary Wharf and Inner London more generally cementing this pattern. 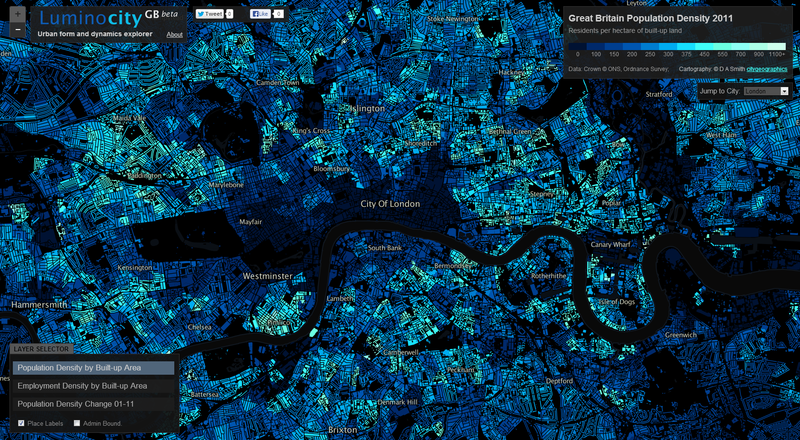 Meanwhile much of Outer London struggles to attract higher value commercial uses. 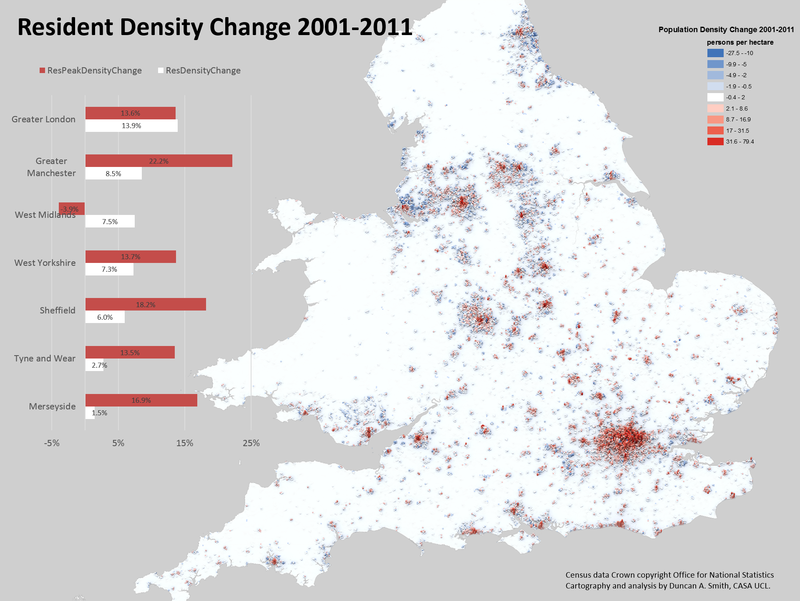 We will explore the agglomeration, property market, and planning policy processes that underlie these trends in future posts. 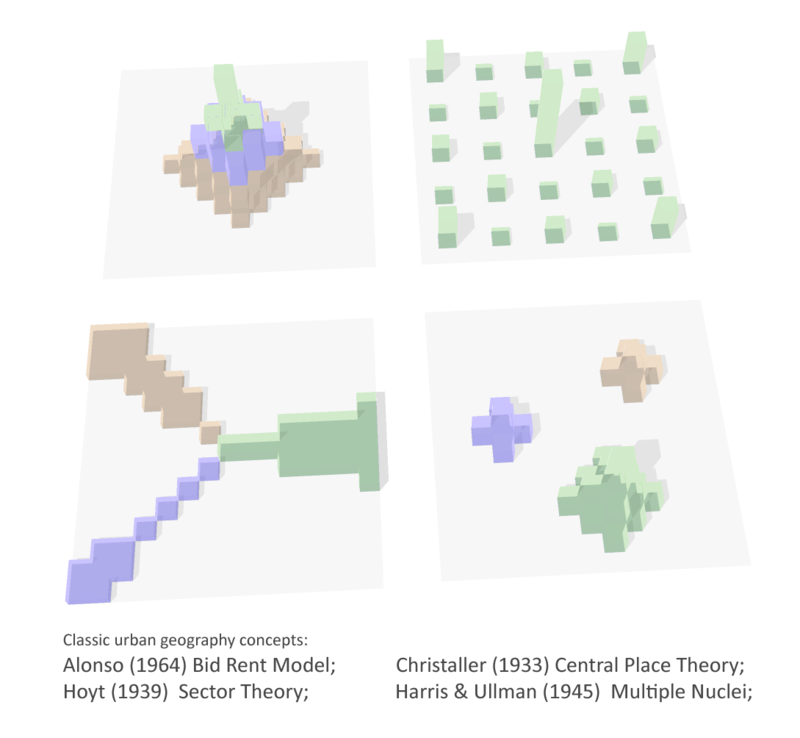 Many of land use patterns visible in London resemble the ‘classic’ urban location theory models: there is an extreme Alonso-type density gradient; retail uses retain a central-place hierarchy; and there are distinct radial corridors. 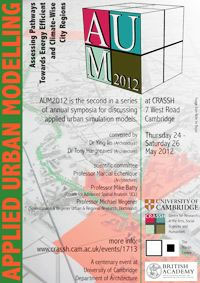 Additionally further theories on the economics of mix-of-uses (e.g. 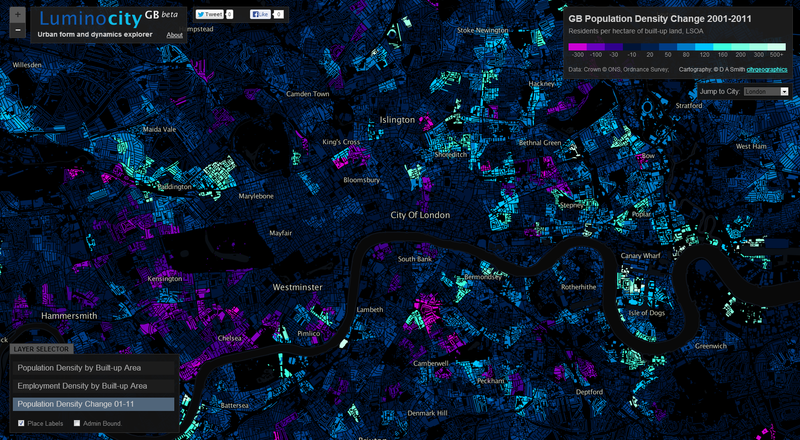 Jacobs) and the lumpy mega-scale of real-estate investment are clearly key parts of London’s make-up. 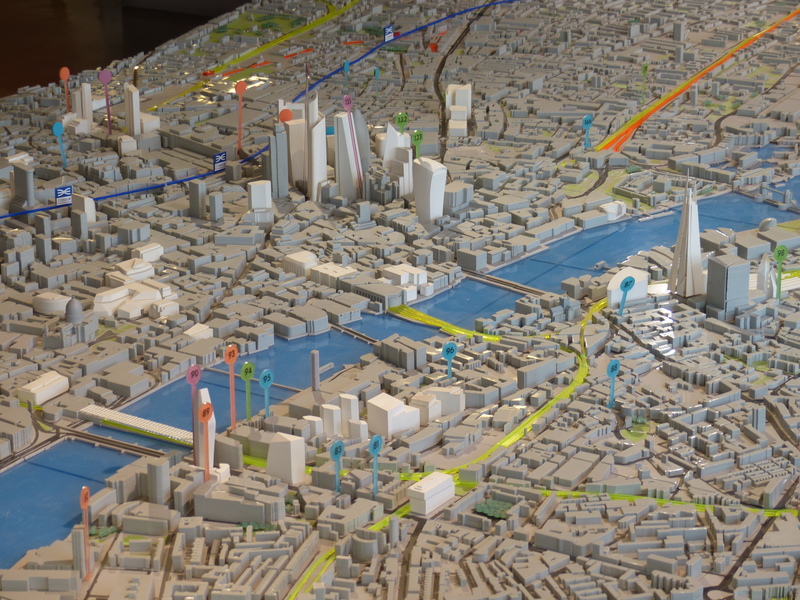 The London Urban Form movie was created in ArcGlobe, which has some nice features like the ability to change the background mapping and animation timeline features. 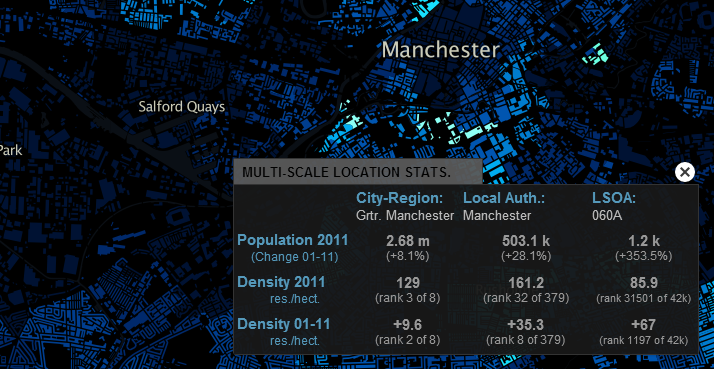 The advantages of doing the movie within GIS is the ability to easily combine spatial data at a variety of scales. Some of the more advanced animation effects that I would like to use such as geometry transitions (to show growth and decline) and controlling lighting are however not possible in GIS. A previous visualisation of this data in 3DS Max by Andy-Hudson Smith shows how these effects can be achieved.